An alternative style of cufflinks. Featuring various stone types, these cufflinks are so unique and a great gift idea. Each stone is natural and may therefore vary from the images. 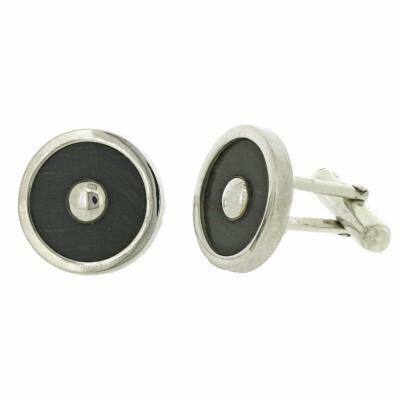 The stone and silver setting of the cufflinks measure width 20mm, height 20mm and depth 7mm. The post measures width 7mm and length 15mm and the toggle measures width 3mm and length 20mm. All measurements are approximate and measured at widest/longest points. The cufflinks are crafted in Sterling Silver.